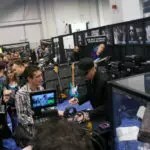 Home / EBS News / EBS @ NAMM Show ’13: Day 2 incl Billy Sheehan interview! EBS Day two…wow! What a great day! Henrik Linder killed it on the bass, Billy Sheehan celebrated the release of the new pedal and signed for an hour straight and we got some great jams from Etienne and Swaeli Mbappé – as well as meeting all our friends and associates both at the booth and at the following EBS Dinner where we also presented the winners in the EBS 2012 Distributors Awards. 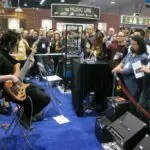 NAMM is cooking! It’s such an honor to work with professional musicians – and we got to work with many of the finest bass players in the world! That’s what drove Bo and Mats to start the company 25 years ago, and what continue to drive us to continue. 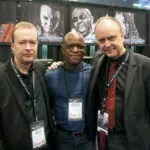 The NAMM Show is a real highlight every year, since it’s such a melting pot for the top musicians around the world, and especially a year like this – turning 25 – it feels extra good to see all these old and new friends and pro players that we have the honor to work with, some since the very beginning and others most recently onboard. And more, with the new social media – we got to share the moments and include all of you in this “EBS Family” too! 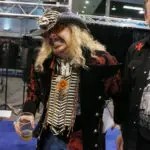 So, join facebook.com/EBSSweden, add EBSSweden on Twitter and keep following this blog, so you get part of it too! 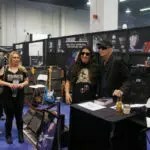 🙂 Enjoy the pics from day 2, and don’t forget to check out the interview with Billy Sheehan at the bottom, where he give you some in depth info about the new EBS Billy Sheehan Signature Drive! 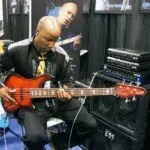 Kevin Walker played for president Obama last week, and now joined EBS at the booth to check out some bass from Marleux. 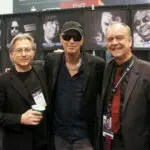 Mats and Bo with Scott Ambush, one of the first EBS endorsees. Henrik Linder played a tune from Dirty Loops and got a huge crowd following. Can’t wait for the album! 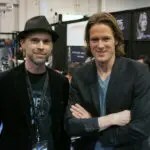 Ralf with supertalented artist Randy McStine. Go check out his album called Lo-Fi Resistance feat Porcupine Tree members Gavin Harrison and Colin Edwin, Dug Pinnick and more…it’s epic! Henrik followed up by signing for all the fans that came by. Melissa Ehteridge and Brian Wilson’s great bass player, Brett Simons, came by. Etienne and Swaeli cooking some really nice bass grooves at the booth. Great White bassist Scott Snyder with his spooky eyed friend came by. 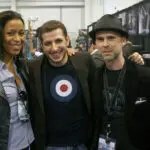 EBS pedal artist Yolanda Charles with her drummer Nicolas Viccarro and Ralf. 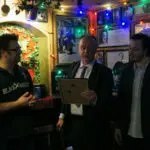 Billy took time with his fans signing all kinds of stuff and presenting the new EBS Bily Sheehan Signature Drive. 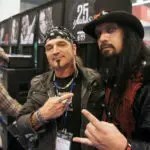 Gorki from Ritter guitars, Billy Sheehan and Bo. 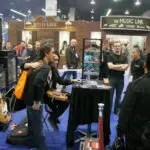 Namm visitors comes in all shapes…here’s a typical one! 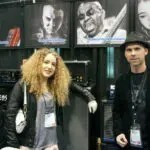 EBS Artist Tal Wilkenfeld took time to come by between soundcheck and gig on the TEC Awards. EBS German distributor won the award for Best Service & Support 2012. 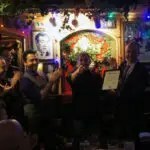 The price ceremony took place on the EBS Dinner. Guitar Cube got the award for Fastest Start. And finally, EBS US distributor got the Dealer Of The Year award! 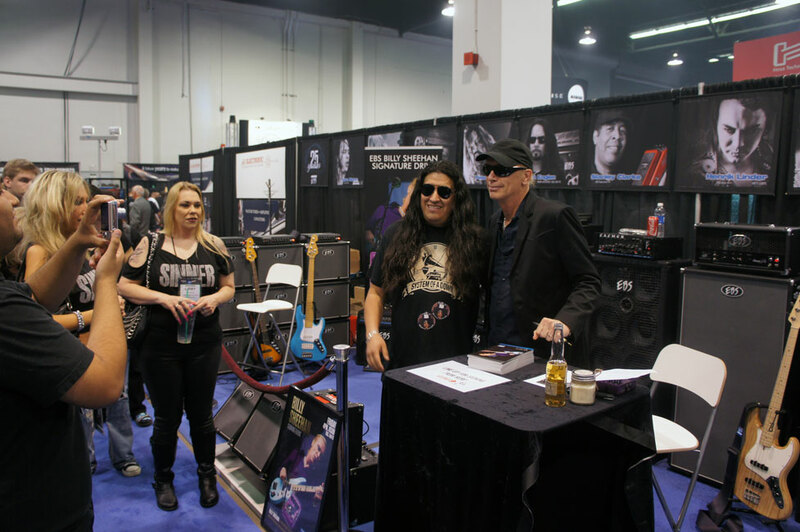 AT NAMM, EBS AND BILLY SHEEHAN JOIN FORCES TO RELEASE THE BILLY SHEEHAN SIGNATURE DRIVE, A SIGNAL PROCESSING DEVICE OFFERING THE POSSIBILITY TO ACHIEVE THE SOUND OF A LEGEND! 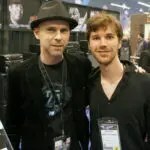 HERE’S AN INTERVIEW WE MADE FOR THE EBS 25 YEARS MAGAZINE WITH BILLY ABOUT THE PEDAL. Text & Photo by Ralf Bjurbo. 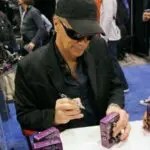 Billy sharing his thoughts on a new pedal with EBS Tech Director Mats and CEO Bo during the development process of the EBS Billy Sheehan Signature Drive pedal. A couple of years ago, you contacted us letting us know you’d be interested in making a special effect together with us. How come you choose EBS as a partner to develop this product? –I’ve tried several other EBS pedals and I love the sound and quality control. From my observation, EBS seek to innovate and not copy. All the company’s products reflect this. So, I thought they’d be perfect to do a pedal that is somewhat non-traditional, yet useful for many things. Can you roughly describe the idea behind it, and what you hope it will add for yourself as well as what it offers to other bass players? –I have been involved in sound design for bass since 1971. I may have been the first bass player with rack-mount pro-audio components as an amplifier on stage. Not sure, but maybe! Regardless – my goal then was to be able to create a perfect bass tone for myself. Some of the ideas that went into that concept turned out to be useful not only for myself, but for anyone who is amplifying an instrument. I’ve had very many custom design preamps and other components made for me from scratch through the years, so I’m very familiar with the process involved in taking something from concept to performance – sometimes a long and difficult transition. This pedal is a distillate of several important principles in the signal chain for bass. Distorting a bass is always tricky. You can easily lose note to note differentiation, as well as low frequencies. My solution for many decades has been to run two signals, distort one, and re-combine, mix after. We managed to get this capability into a pedal with EBS. It does all that, plus it allows an unlimited possibility for pre-post mix tone shaping by including a loop for each signal path. The user can insert anything they wish within the loop for unique and personally stylized tonality. The pedal by itself sounds absolutely wonderful, but the feature of being modified by the user’s choice of insert components makes it useful for anyone playing any style. As I understand it, your tone is basically achieved by the combination of heavy distortion, stressing the midrange to the extreme at certain frequencies and adding compression to keep the definition of tone through the distortion and blend with a clean signal. 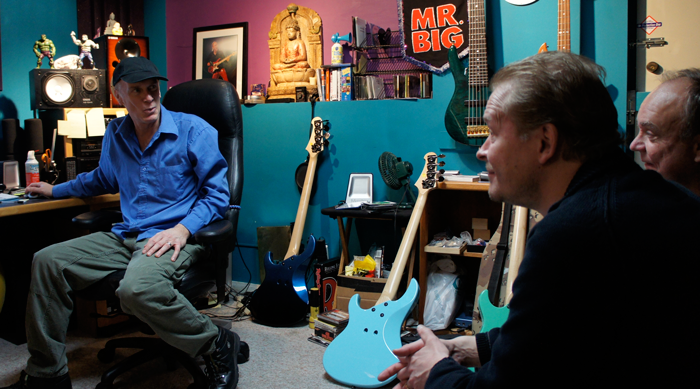 Can you do all this with the Billy Sheehan Signature Drive? –Yes! It includes everything necessary for that within itself. Compression, distortion, tone-shaping and blending all together. It has a special feature since both the input (clean loop) and the output (drive loop) has an effects loop added to it. What is the intention of having this option, and can you explain how it works? –As above, this gives the option of adding whatever the user would like within either or both of the individual signal chains. Some extra compression on the clean channel? No problem. A parametric EQ on the distortion channel? Likewise. This allows the player to fine tune the pedal to their own personal liking. It works perfectly. For yourself, what are your current plans for 2013 that you’ll like to share with the readers? 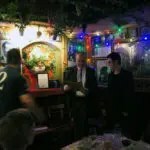 –Busy times! A new Niacin CD entitled “Krush” is coming, with Dennis Chambers on drums, and a new band I’m beginning with Mike Portnoy and Richie Kotzen that I’m very excited about! – and a dozen other things. I’ll be taking my new EBS around the world this year. Can’t wait! 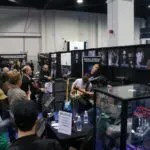 Stay tuned for next NAMM feature to appear soon!